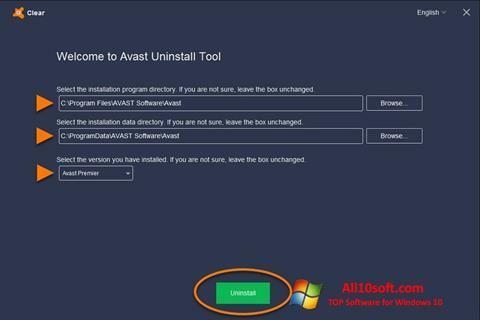 Avast Uninstall Utility for Windows 10 - proprietary utility for a clean uninstallation of antivirus software created by the same developer. It is a practical, safe-to-use uninstaller. Removes all traces that the program could leave in the file system and registry. The graphical shell is user friendly and intuitive. All interaction with this product is carried out in a phased mode. Properly perform the removal procedure and prevent possible risks will help step by step wizard. You can free download Avast Uninstall Utility official latest version for Windows 10 in English.